"Crystal and her team were amazing to work with and I highly recommend them. Very professional and always responded in a timely manner. Sold our house within a few days with a few offers on the table." "Thank you so much for your guidance and generosity throughout our home building experience. I can't tell you enough how reassuring it was to know we were in good hands. We are so excited to decorate with our gift cards! Thanks again!" "Absolutely wonderful to deal with the Halley Team! Fantastic Duo! It was a real delight to work with you on my search for my new home. Your advice, compassion and availability made the process go as smoothly for me as possible. I will be happy to recommend you to anyone who is seeking a great real estate agent!" "What a wonderful experience. I'll definitely recommend Crystal to anybody asks me about looking for a home. She'll be the first person I think of when I go to either sell or buy again." "Crystal provides a great experience from beginning to the end of the home selling and buying experience. She is very knowledgeable about home values and trends, and she works hard through continuous communication. Her advice is always sound and sensible. She is my go-to person when I'm ready for a new house." "Crystal was amazing! She stepped in quickly, taught me so much, helped us to find great buyers and took the time to keep some of the chaos minimized as we moved across the state. What a superb professional! THANK YOU, Crystal and Co.!" "My wife and I thought Crystal and Jim provided excellent services throughout our engagement with them. They were both pleasant, energetic, patient and most importantly knowledgeable. This was especially important to us given we were first time home buyers. We were able to find a house and win the bid, thanks to their dedication and expansive industry advice. They went above and beyond to ensure we were successful in our first home buying experience and didn't put on any undue pressure along the way. On top of all of that they have super great resources when it comes to inspection/home repair/home improvement, which we intend on using when we get a bit further along. Great job with a great team!" "Crystal & Jim, Thank you so much for being awesome people and realtors!! You both are amazing at what you do. Matt and I are so happy with our first home and are so grateful for the wonderful service you both provided! Fans for life! xoxo"
"This is our 2nd time using Jim and Crystal for our move, and if we ever move again they are who we'll turn too. I don't think they could be anymore helpful, friendly, or accommodating than they were, and in both cases they helped secure the house we wanted as well as sell ours!" "Crystal did most of the negotiations and she was very calm and methodical for every discussion. We appreciated her calmness during this sometimes trying selling and buying process. Jim was always very helpful when meeting with us to examine the property and taking the time to look at all details. They are an excellent team." "My family and I were victims of a house fire that left us without a home. We contacted Crystal on a Sunday, the day after the fire, and she matched us up with a comfortable, spacious, "homey" rental within a couple of days. She was compassionate and took immediate action to help us. Having a place to live gave us peace-of-mind and allowed us to begin to put our lives back together. We were very grateful and recommended her to a neighbor who found themselves in the same circumstance." "The Halley Team went above and beyond in helping to support the process of us selling our home. They were extremely responsive and timely and followed through on their commitments." "Crystal was a wonderful realtor to work with. She assisted us with the purchase of a new home, and subsequently a very quick sale of our previous home. She is very personable and professional. With 2 transactions that consisted of many moving parts, she made it all work together with our best interest in mind. Crystal was easily reachable for any questions or concerns at any time. My spouse and I highly recommend her for assistance with buyer or selling." "Crystal was a great resource and helped us find our perfect house to rent in a timely manner. She is so kind and professional and truly wants the tenant to be happy with their home prospects. I would recommend Crystal and James to anyone who needs help finding their next property." "Crystal Halley was very professional, knowledgeable and helpful throughout the entire process of preparing to list, listing, showing, selling and lining up the closing title company. My wife and I are happy and pleased with her and her company's results and performance in accomplishing the end objective which is quite a big event in our lives (lived there almost 20 years and had ties, roots and memories for our family). We have now moved on to a new adventure in our lives and our "transplantation" is healthy and growing well. We would definitely be happy to do business with her again if the opportunity arises. Thanks Crystal!" "Crystal was always available to answer my questions and was very calming throughout the process. Her team (photographer, stager) was great as well. She showed attention to detail, even providing a basket with shoe covers so that our carpet wouldn't get soiled during showings. We wanted to coordinate the closings of our old home and our new one on the same date and she made it happen seamlessly." "Crystal and Jim, Where do we even start. Kristen and I cannot thank you enough for everything that you have done for us. Buying our first home is such an overwhelming process but you both made us feel so comfortable throughout the entire process. For that, we are so appreciative! Thank you again for everything!" "Crystal and her team did an excellent job selling our house. We are very much pleased with services and suggestions during the process. The complete process was done without any issue. We highly recommend Crystal and REMAX to anyone for the real estate needs. Thanks to Crystal and her team." "Crystal was a pleasure to work with, she went out of her way to find me the home of my dreams. Everything I asked for in the house I was looking for, she delivered. My time was not wasted looking at homes that did not meet my criteria. I would highly recommend her to anyone." "Our house is already sold!! Thank you HalleyTeam!! With having two Real Estate agents as parents, I can be a tough customer. I am so much more than pleased! We sign the papers this afternoon, and then I'm off to Indiana to pursue my next job." "Crystal was an outstanding sales representative for selling the condo in Northville. From the day we called she was totally prepared and extremely knowledgable about price, market and location. She answered all calls regardless of the time and provided feedback often. The condo was staged beautifully and the result was a full priced offer within days." "Crystal Halley went over and above what I had expected. Although I did not list my condo with her I would have never known the difference. She had a potential buyer and did everything she could for me to get every dollar my condo was worth!! I would recommend her to any member of my family and my friends without hesitation. I don't plan on moving again but if I do she will be the first on my list to call!!" "Crystal is super knowledgeable about the real estate market, buying/selling process, home pricing, etc. She helped us both buy and sell our homes and we would absolutely use her again. I would recommend her to anyone interested in buying or selling their home. She was always available to us for questions and really made us feel like we were her only clients, in spite of the fact that she is a super busy realtor! I could go on and on about how wonderful Crystal is to work with... she's the BEST!" "When we initially contacted Crystal Halley (RE/MAX) we really knew nothing about her or her team. We were considering selling our home and needed some advice from a realtor. Crystal came to our home the next day and took the time to answer all of our questions about listing our home. She came very well prepared as she had done market research to show us how comparable homes in our area were transacting. It took us about 9 months from then to decide to actually list our home, and when we called Crystal she remembered exactly who we were upon answering the phone! She again worked very expediently to get us updated pricing information and we were able to list our home quickly. We had multiple offers on our house within the first week of listing it, and the offers were higher than we had expected. Although our home was fairly modest in terms of pricing/commission, Crystal always treated us like we were her most important clients. She was always available to answer any question, and is very knowledgeable with real estate. She truly went above and beyond to meet all of our needs, which were not always simple! We are extremely satisfied with Crystal and would proudly recommend her to family/friends without any hesitation." "Just a quick note to say thank you for a great job in getting our house sold so quickly! Less than a month from start to finish. The professionalism and promptness of your entire staff was much appreciated. First class!" "Crystal and Jim are a fabulous team to work with. With their experience and expertise, they helped us navigate a rapidly changing market. We purchased our new home at an excellent price and sold our old home in 2 days. They are responsive to questions, calls, emails and work hard to make sure that your purchase or sale goes smoothly. I would highly recommend them to anyone wanting to work with a professional team that will take the time to understand your needs and find the home that is perfect for you." "I trusted Crystal and Jim 150% and that's what made the selling experience as good as it could have been. TRUST is king. We appreciated the follow ups provided via Remax online as the selling process moved along. We were thrilled to have finally found a buyer and at the exact time that we did, we were dealing with a 'homeowners claim' due to heavy snow and cold temps. It didn't stop the show and that was a wonderful thing! Crystal is a cool, calm, happy, confident & professional agent and as already mentioned, can be TRUSTED." "I contracted with Crystal Halley of RE/MAX recently to sell my home in Novi. From start to finish Crystal was professional, helpful and enthusiastic. She made things easy on me by handling everything from sprucing up my property, to the actual sale of the home. I could not have asked for a better agent. My home sold quickly, and the deal was done within 30 days. I highly recommend Crystal and RE/MAX." "Crystal is a subject matter expert in her field. My experience was seamless and I ended up with a dream house that I'm more than satisfied with. I personally recommend Crystal and her team to my own friends and family. You will be very happy with her, her work ethic, and your end result." "Crystal is very professional. She really knows the Real Estate business. We would recommend Crystal and her team to anyone. Great job, we felt very confident and comfortable having Crystal sell our home. Thank you Crystal"
"We had a truly incredible experience going through you for our real estate needs. We found in you what an ideal agent should be like. You are very open, honest and work to meet your client's needs with great dedication and effort. You are unlike some agents we have seen who beat around the bush and try to sugar coat everything. You are straightforward in your communication and look at the best interests of your client, so we can be rest assured that our requirements are not compromised in any way. You and Jim work seamlessly together and are a very cohesive team. We were equally comfortable with Jim as we were with you. "We were pleased with the real estate services both Jim and you provided. We appreciated most your honesty.. were told you personally had no buyers for our price home; you let us play with the price until we found the right price point; you were very quick to respond to all our questions and needs during the selling process; and you told us all would fall into place, as it did. Having a system in place to provide us with quick feedback post showings was very helpful. Your guidance during the offers process was right on, and you always worked diligently in representing us. All was very professional! Our only complaint was the sometimes very short notice on showings; fortunately we were always able to accommodate the lookers. We sold our house for a decent price in an iffy and competitive market, and that is really the bottom line. Best wishes to Jim and you." "I love Crystal Halley. Nobody knows real estate like her. She has sold two of my houses and found me three of them! She has been my lifesaver!" "In a buyers market you just never know how putting your house up for sale will go for us the seller. We chose The Halley Team because they bring many years of experience selling properties in various metro locations in a variety of sizes and price ranges. Crystal and her team gave us good advice, moved quickly, and brought in motivated buyers. Our house sold in three days and the details and closing all went smoothly. Thank you so much!" "I was very happy with the experience that I had with the Halley Team. I thought not only having you, but Jim and Candy as well, was very convenient and helpful when going through the whole process. Another experience I thought was extremely helpful/beneficial was when the first lender that I went through didn't end up working out and we were under a deadline to close on the house, you and your team knew exactly what to do, and who to go through in order to not only close on the house but keep me from losing the house entirely. I felt that you and your team did an outstanding job, and were all extremely professional. I would highly recommend you to anyone I know who needs to sell or buy a home. All of you made the entire process go smoothly and I greatly appreciate everything you did." "Crystal, I just wanted to take a minute to thank you and your team for helping me find a home in just three short days. My timeframe was completely impossible and you managed to get the job done professionally and made the whole thing appear easy and stress-free. Your knowledge of the area, demographics, and most important educational system is impressive. I will not hesitate to recommend you and your team to anyone who needs your services. You knew what I needed almost before I realized what I wanted. We could not be happier with our new home. I admit that I was surprised when you called several days after the move but quickly realized that your advertisings speaks the truth "Building relationships for life and helping families is what you truly enjoy most"! I feel as if I gained a real estate professional and a friend! "When my wife and I decided to pull the trigger on buying a house, we had to move fast in order to qualify for the first-time homebuyer credit of $8k. Being completely new to the home buying experience, Crystal helped us feel comfortable with a process that we had never done before. We had our eyes on one particular house and she suggested several others just to make sure we were right about our gut feel. We ended up going with that one, and we made an offer within days of starting the whole process. Thanks for helping us move fast Crystal. We love our first home!" "Crystal and her team did a very good job for us. From the initial visit to helping us stage our home for a sale to holding our hands and answering our questions she was only a phone call away. Our house sold much quicker than we thought it would and we credit that to the marketing that Crystal did for us. We would highly recommend using her to sell your home." "As first time home buyers, my wife and I were a bit overwhelmed with the idea of purchasing a new home. We stumbled upon an ad for Crystal Halley at RE/MAX Classic in Novi and decided to blindly give her a call. We could not be more pleased with the personalized service that she and her husband Jim provided. They took the time to get to know us on a personal level, as well as what we were looking for in our first home. As novices, Crystal simplified the process for us. She sent us daily updates as houses became available and constantly stayed in touch. Her husband Jim, took us to potential residences and helped us evaluate each home. Jim is extremely knowledgeable and was able to inform us of the advantages and disadvantages of each house. Throughout the process, we never once felt pressure, even when we found a house we were interested in. When making official offers on houses, Crystal would act swiftly and strategically, which resulted in us winning our dream home at an incredible price! 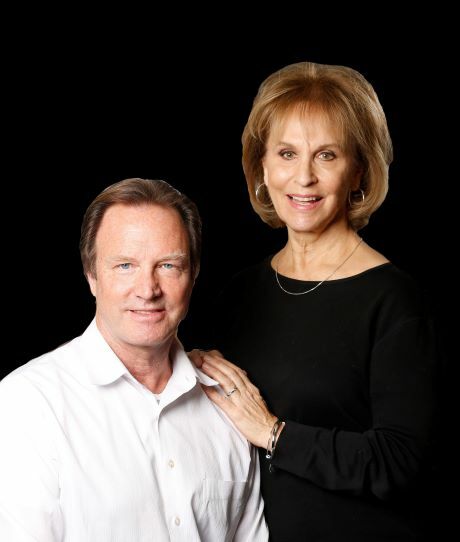 Crystal and Jim are not only great real estate agents, but they are great people! I can honestly say that they went above and beyond to exceed all of our expectations. We are so fortunate that we decided to make that initial call to Crystal- not only did we end up finding an extraordinary real estate team, but we ended up landing life-long friends in the process. We couldn't be happier with our new home and look forward to being able to refer Crystal and Jim Halley to all of our friends and family members." "It is my pleasure to write this Letter of Endorsement for Crystal Halley. Crystal has been a consummate professional from the day I met her in 1998 when we worked together to transact a difficult real estate closing. From the business model she incorporated, to the leadership skills she shared with me, I can proudly say that Crystal is the single greatest mentor I've had the privledge of working with in my 22 years in sales and customer service. I owe my success as a Re/Max Hall of Fame Sales Associate to Crystal because she tactfully and consistently helped develop me and my team over a 10-year period. Many of the core competancies that I have and use today are because of Crystal and her commitment to helping people. Crystal is a pleasure to work with and I consider her one of my true friends."